What it is known today as the most visited museum in the world, the Louvre Museum was for many centuries the royal house to France’s Kings and Queens. From King Philippe Auguste to François Mitterrand, France’s main rulers have left their footprint on Palais du Louvre, enlarging and embellishing that former defensive tower. 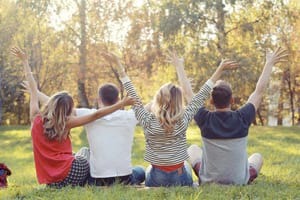 On this post, we are going to forget Louvre Artwork for a while to learn the Louvre history through the most beautiful galleries and halls in the Louvre Palace. King Philippe Auguste (1180-1223). He built the first structure, a medieval fortress to secure Paris city wall. King Charles V (1364-1380). When the Louvre lost its defensive role, he transformed Louvre Fortress into a luxurious royal palace. Henri II (1547-1559). This King created in the Louvre a new architecture with classical features. When the King died, his wife Catherine de Médicis ordered the construction of Tuileries Palace, a weekend palace located in the countryside at the outskirts of Paris. Both palaces were separated by the city’s walls. Henri IV (1595-1610). King Henri was one of the most important kings who lived in the Louvre. He conceived the “Grand Dessein” (great design), a master plan to connect the Louvre building to Tuileries Palace. The link was completed through a long gallery (La Grande Galerie). King Henri IV’s architects also designed the Cour Carré. Emperor Napoleon I (1804-1815). He built the North Wing, parallel to the Grande Galerie. During his rule, Napoleon I also built the Arc de Triomphe du Carrousel to glorify the access to Tuileries Palace. Emperor Napoleon III (1852-1870). He wanted to undertake his predecessors’ masterplan, a pity that Tuileries Palace was destroyed by a big fire! It was then when the Louvre opened onto the city, offering new opportunities for major renovations. François Mitterrand (1916-1966). He launched the “Grand Louvre Project”, which consisted in assigning the entire Louvre Palace to the museum (until then Richelieu Wing was occupied by the Ministry of Finance) while modernizing and improving the presentation of Louvre Art. Mitterrand also commissioned the Louvre pyramid, the museum’s main entrance since it opened in 1989. 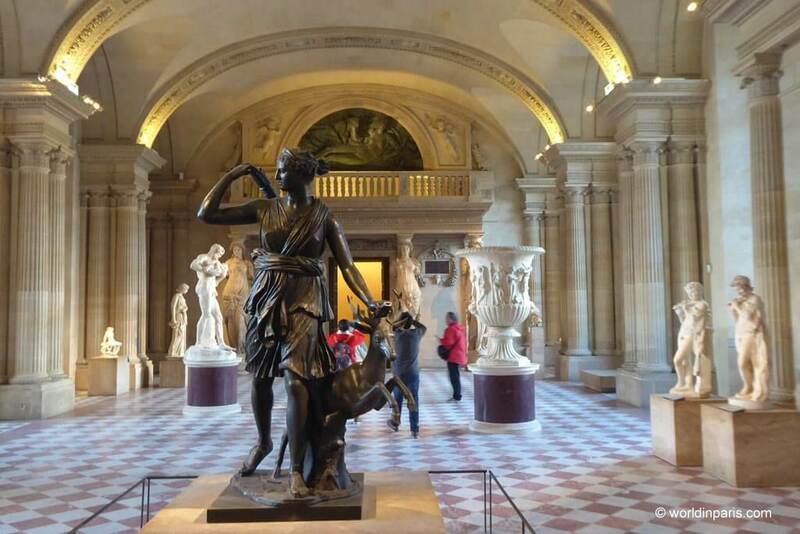 Here’s the best of the Louvre Palace: our favorite rooms, halls, and galleries of the best museum in the world. The construction of the Louvre started in the XII century under the rule of King Philippe Auguste who wanted to protect Paris better before leaving to the crusades. The Louvre was a small medieval castle, part of the fortress protecting the city. At that time Paris was a small city, limited in the South by the right bank of the Seine River. This first Louvre building was square in plan, separated and protected from the river by a moat fed by the waters of the Seine, with circular defensive towers and an imposing central keep. Louvre’s renovation works during the Grand Louvre Project unveiled the Medieval Louvre, some parts of medieval Paris and sections of Charles V’s city walls which are today part of the museum. After a great mise en scène work, today we can see part of the Louvre Fortress’ foundations, the moat and also parts of the defensive towers. This is an impressive hall with an entrance decorated with 4 impressive Greek caryatids, hence its name. 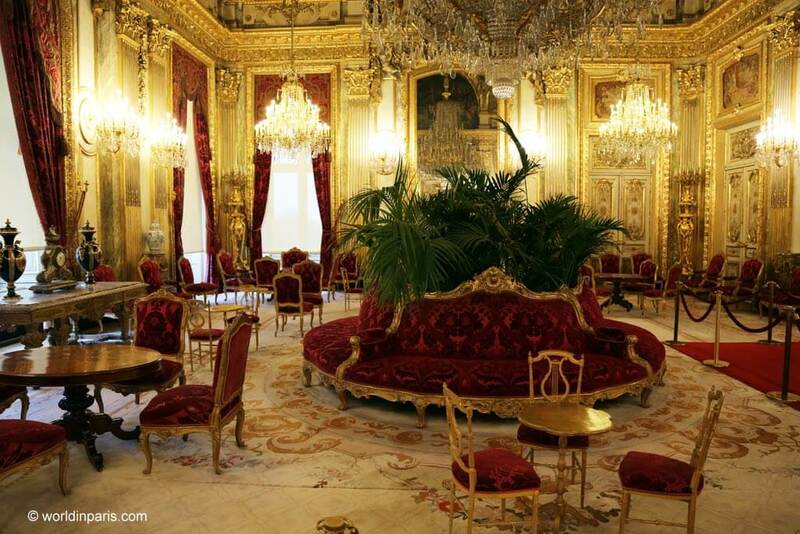 It was built during the reign of King Henri II as a ballroom for glamorous parties. Before the first Louvre Museum was founded, it hosted for some years King Louis XIV’s sculptures collection, who lived in the Louvre for a few years before moving the court to Versailles. Finally, in the late XVIII century, the hall hosted some important meetings of the Académie Française. Today Salle des Caryatides displays Greek Antiquities. 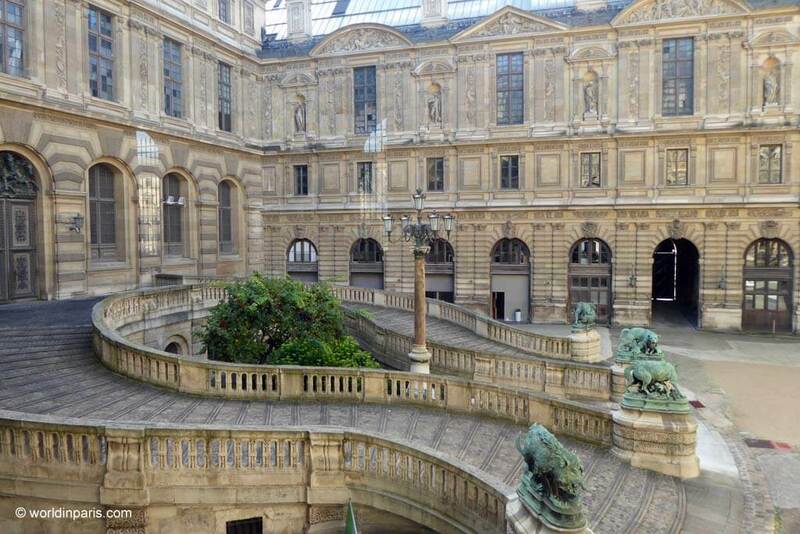 This gallery was built during the XVI century to link Louvre Palace to Tuileries Palace. During the XVII century, it was used for the scrofula ceremony, during which the King laid his hand on the sick. During King Louis XVI (1754-1793), this gallery was planned to be the location of the future royal “Museum”. This gallery was shortened during the XIX century to build the Flore Wing and hosts today Italian paintings. Despite its length and the quality of the artworks displayed, this is a gallery that visitors “see” quickly, in a rush on their way to Mona Lisa! 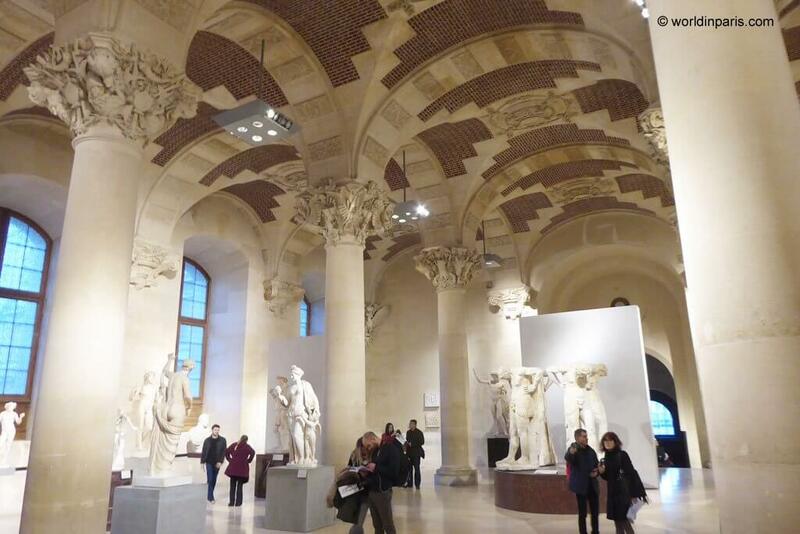 Galerie d’Apollon, recently restored, is one of the most beautiful spaces in the Louvre. This gallery perpendicular to the Seine was built under the reign of Henri IV, during the construction of the Grande Galerie. 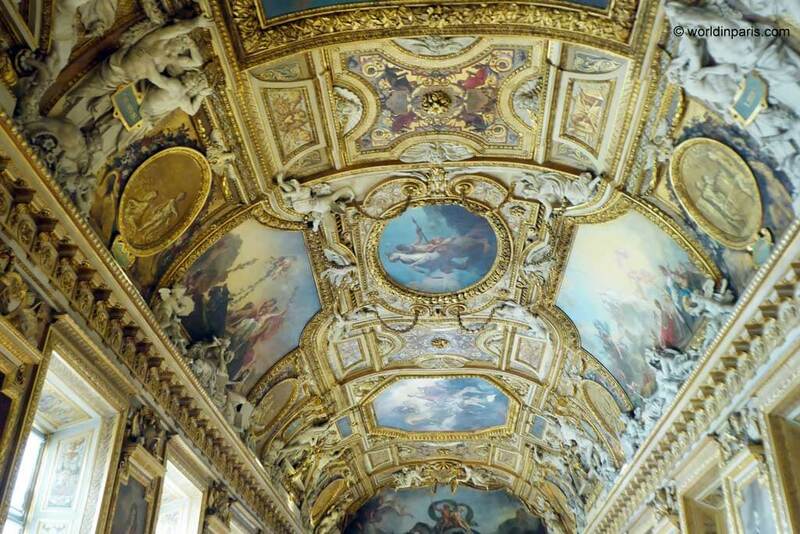 At that time it was called Galerie des Rois (Kings’ Gallery) and hosted the portraits of kings and queens of France. In 1661 a big fire destroyed La Galerie des Rois and reconstruction works took place during the reign of Louis XIV. 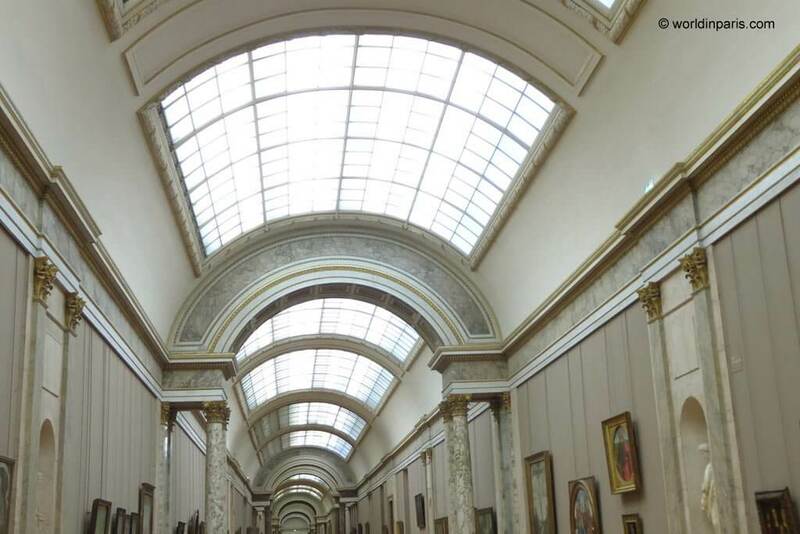 This gallery, Louis XIV’s first royal gallery, will be used as the model for the famous Glass Gallery in Versailles. Don’t miss its impressive vaulted ceiling! This courtyard was built in the North Wing, in the XIX century. During the Grand Louvre Project, it was refurbished and covered with a glass roof. 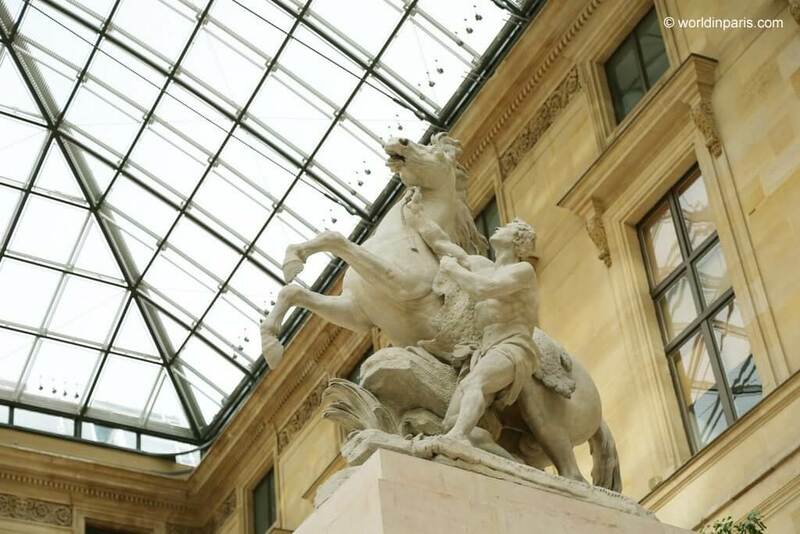 Today it hosts French statuary and it gets its name from the spectacular Horses of Marly one of my favorite sculptures in the Louvre! This hall was built during the Second Empire (1852-1870) intended to accommodate the exercises and equestrian events of the imperial stable, that’s why it is so imposing. When the Louvre became a museum la Salle du Manège was the Louvre main entrance until the construction of the Pei’s glass pyramid. Today la Salle du Manage displays Roman antiquities coming from important private collections. This today inner courtyard was used for the horses to Access la Salle du Manège, hence the stairs’ huge dimensions and shape. If you have visited Château de Fontainebleau, one of the best trips from Paris by train, you will find it very similar to the one in the castle. Unfortunately, this courtyard is not opened to the public so you can only see it from the window. Named “the Napoleon III Apartments”, these rooms and halls were built for the ministry of state between 1852 and 1857. These apartments were meant for visiting VIPs like heads of state, not for Napoleon III himself. The job was directed by Napoleon III, who lived in the Tuileries and let the public into the Louvre to see the Art collection. Particularly impressive are the main saloon and the big eating room. The glass pyramid, located in the Cour Napoleon, was designed by the architect I.M Pei. 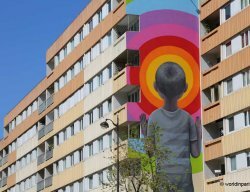 Its construction was very polemic and all the city was against it, just like with the Eiffel Tower! The Louvre Pyramid is the museum’s main entrance since its opening in 1989 and the symbol of the Louvre. The Louvre Pyramid, 21.64 meters high, consists of a 95-tonne steel structure, a 105-tonne aluminum frame and contains 673 glass panes (603 rhombi and 70 triangles). The glass pyramid is not alone: three replicas, surrounding the main pyramid, are lined with triangular water basis.